GO THE DISTANCE! 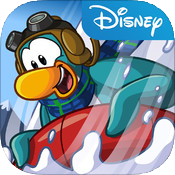 Challenge the steep slopes of Club Penguin's Tallest Mountain. Take on a high-speed sled run with crazy obstacles and fast-paced action.